After keeping the fans waiting for long, the makers of 'Simmba' have finally unveiled the peppy dance number titled 'Aankh Marey' from the Ranveer Singh and Sara Ali Khan starrer. 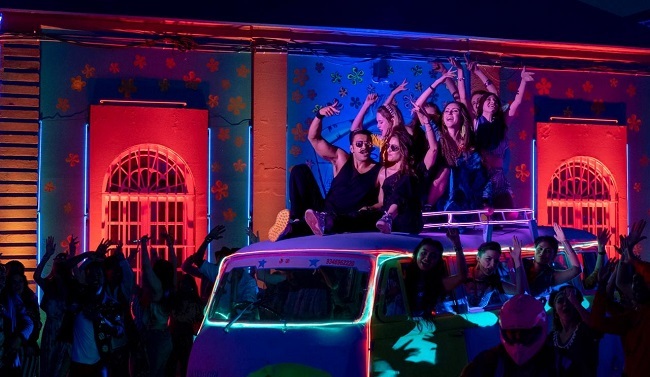 New Delhi: After keeping the fans waiting for long, the makers of 'Simmba' have finally unveiled the peppy dance number titled 'Aankh Marey' from the Ranveer Singh and Sara Ali Khan starrer. Karan Johar took to his official Instagram account to share the party song, a remix version of the original 'Aankh Marey' which was sung by Kumar Sanu and Kavita Krishnamurthy for the film 'Tere Mere Sapne'. The 1996 film marked the debut of Arshad Warsi. "Party song for the party season!!!! #aankhmarey @ranveersingh @saraalikhan95 @itsrohitshetty !! Here is a glimpse," KJo wrote alongside the clip of the song. This remix version retains the fun element from the original song. The video of the foot-tapping track starts with KJo dancing to upbeat tunes. Later, Ranveer and Sara take over, showcasing crazy amount of energy and some undeniable chemistry. 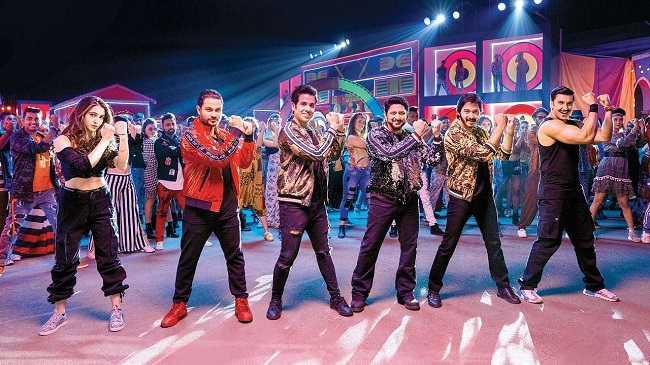 The song also has a surprise element halfway through the video, a cameo from the 'Golmaal' team, Kunal Khemu, Shreyas Talpade and Tushar Kapoor. In a homage to the classic 90s song, Arshad Warsi also appears on scene and is seen lip-syncing and dancing to Kumar Sanu's voice. Almost three days back, the trailer of the film was released and has garnered immense appreciation from the audience. Why Ranveer Singh is saying "I am Haivan"?